It is a common misconception that Abu Hanifa and the classical scholars of his school of thought preferred qiyās over hadith reports. Modernists use the same to promote their manifestly hadith rejecting ideas claiming that their approach has a precedent in the methodology of one of the greatest jurists in the Islamic tradition. In reality, however, this is a minority opinion. The few odd Hanafi scholars who did prefer qiyās over hadith did it only conditionally. In fact Abu Hanifa, his immediate students, and most of the later scholars of Hanafi school unconditionally prefer hadith over qiyās. Evidence to this effect is presented in this paper. There is a general misconception that the scholars of the Hanafi School of traditional Islamic jurisprudence prefer qiyās over the solitary (āḥād) hadith reports from the Messenger of Allah (peace and blessings of Allah be upon him). While the misconception has persisted for quite some time with intra-Islamic polemicists accusing Hanafi scholars of preferring subjective qiyās over sayings of the Messenger of Allah (peace and blessings of Allah be upon him) lately the modernists and pseudo-Hanafis with visible hadith rejecting tendencies have been trying to manipulate the issue to their cause. They suggest that what they hold has been the opinion of an otherwise orthodox, reputed and well established school of law in the Islamic tradition. In reality the view of preference of qiyās over hadith cannot be attributed to Abu Hanifa, the Imam, and his immediate students. It is true that some of the Hanafi scholars did hold the opinion of preferring qiyās over hadith under certain conditions. However, most of the prominent and diligent Hanafi scholars have rejected this view, termed it as innovation, and clarified that it cannot be attributed to Abu Hanifa and his prominent students. In this paper we shall first see evidence from Abu Hanifa on preferring hadith over qiyās along with the statements from the prominent Hanafi scholars who followed the Imam in preferring hadith over qiyās. I was present with Sufyan when a man came to him and said, ‘Why do you bear grudge against Abu Hanifa?’ Sufyan said, ‘What is with him?’ Yahya said, I have heard him saying, ‘I (first of all) seek evidence with Qur’an, and what I do not find in it I seek evidence with Sunnah of the Messenger of Allah. And if I do not find it in either the Book of Allah or the Sunnah of His Messenger then I seek evidence with the sayings of his companions, taking the opinion of whoever I deem fit and leaving that of others and I do not go for any opinion except leaving their opinions. And when it comes to Ibrahim and al-Sha’bi and Ibn Sirin, al-Hasan, ‘Ata’, Sa’id bin al-Musayyib and others who did ijtihad then I also engage in ijtihad as they did. I heard Abu Hanifah saying; When there is a report from the Prophet then we adoringly receive it and follow it, and when there comes a report from the companions of the Prophet we choose from their opinions and when it comes to the reports from the followers (tabi’īn) we contend with them (and make our opinions). He said, I heard Abu Hanifah say; When a hadith is narrated from the Prophet through trustworthy narrators we stick to it, and when opinions are reported from his companions we do not leave them (i.e. we follow one of their opinions), and when they are reported from the followers (tabi’īn) we do contend with them. Similar statements have been reported from Abu Hanifa by Abu Hamza Muhammad bin Maimun al-Sukkari, Abu ‘Asmah Nuh al-Jami, Al-Hasan bin Ziyad Lu’lu’i and ‘Abdul Karim bin Hilal. Abu Hanifa preferred hadith over qiyās unconditionally whether the narrator was a jurist or not. Distinction between narrators of juristic acumen and those otherwise is not proven from him as ‘Abdul ‘Aziz Al-Bukhari, al-Kaki, Zain Al-Din Ibn Nujaim and others have implied from his abovementioned unconditional statements. He considered saying of individual companions a proof. Urinating in the mosque is better than some types of qiyās. It is strange of people who say I rule based on opinion whereas I do not give ruling except based on report. Abu Hanifa said; ‘Had it not been for what has been related in these hadith reports I would rule for making up for that day of fasting. إذا وردت عليه مسألة فيها حديث صحيح اتبعه، وإن كان عن الصحابة والتابعين، وإلا قاس فأحسن القياس. Whenever he across an issue and there was a sahih report about it he followed the report even if came from the companions or their followers. Otherwise, he would resort to qiyās, so he would make a good qiyās. Do not pay heed to the speech of the opponents. Abu Hanifa and our (other) companions do not speak about an issue except on the authority of Qur’an and Sunnah, and the authentic reports. Only after turning to these two they resort to qiyās. 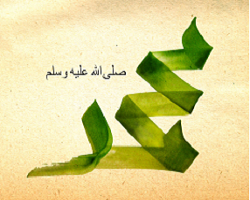 Abu Hanifa: Abu Yusuf, Muhammad (bin al-Hasan) and Zufar are the most knowledgeable about him. Whoever thinks that Abu Hanifa and other Imams of the Muslims deliberately opposed sound hadiths by qiyās or anything else, has erred about them and is either speaking by supposition or by caprice. This man, Abu Hanifa, followed the hadith about doing wuḍū‘ with nabīdh on a journey, something which is contrary to qiyās, and the hadith about laughing in the prayer which is also contrary to qiyās since he was confident that they were sound, even if Imams of hadith do not consider them sound. The foregoing makes it abundantly clear that Abu Hanifa, the Imam, unconditionally preferred hadith over qiyās. It is further proven that three of his most illustrations companions and students Zufar bin Huzail, Abu Yusuf and Muhammad bin al-Hasan agreed with him on this point. Zufar bin al-Huzail said: We resort to analogous opinion (al-ra’y) as long as there is no hadith [on the subject]. But when there is a hadith we leave the opinion and stick to the hadith. Abu al-Hasan [al-Karkhi] used to say: In many discussions I found Abu Yusuf saying, “Qiyās entails so and so but I have left qiyās in favour of the narration.” And this narration is [such] a statement of a companion which is not opposed by saying of another companion. When the ruler or his deputy sees a person committing theft, taking an intoxicant or committing adultery it is not right for him to give ḥadd punishment unless the matter is proven with due witness evidence. This is istiḥsān based on reports that have reached us. Whereas qiyās requires meting out of ḥadd punishment in such a case, (our opinion is based on) reports from Abu Bakr and ‘Umar that have reached us. Had it not been for narrations the qiyās implied what the people of Madina say (i.e. wuḍū‘ is not invalidated by laughter in prayers). However, resort to qiyās is not valid when there are narrations on a subject. In fact there are numerous instances in al-Hujjah ‘ala Ahl al-Madina and Al-Asl where Muhammad bin al-Hasan has commented on the subject discussing various issues. Similarly Abu al-Hasan al-Karkhi also preferred hadith over qiyās whether the narrators of hadith were people of juristic acumen or otherwise. In fact the majority of Hanafi scholars followed the same opinion of preferring hadith over qiyās. They include Abu al-Yusr al-Bazdawi, ‘Abdul ‘Aziz al-Bukhari, al-Nazzar Ahmad ibn al-Sa’ati, al-Muwaffaq al-Makki, al-Khawarazmi, al-Kaki, al-Qurashi, al-Taftazani, Ibn Malak, Ibn Nujaim, al-Tamimi al-Ghazzi, al-Ezmiri, Mulla Ali al-Qari, ‘Abdul Haq al-Dehlawi, al-Hasfaki, Abu al-Hasan al-Sindi al-Kabir, Shah Wali Ullah, al-Zabidi, Ibn ‘Abidin, ‘Abdul Halim al-Lucknawi, ‘Abdul Hayy al-Lucknawi, al-Marjani, Anwar al-Kashmiri, al-Muti’i, al-Kawthari, al-Mahlawi, Shabbir Ahmad al-‘Uthmani, Zafar Ahmad al-Thanawi, Mahdi Hasan al-Gilani, ‘Abdul Ghaffar ‘Uyun al-Sud. Merely the names of these scholars suffice and we leave out their actual statements for the sake of brevity. However, there is one important quote which explains as to why a report (from the Prophet or his companion(s)) takes preference over qiyās. أن الخبر أقوى في غلبة الظن لأنه مجتهد فيه في العدالة والدلالة, والقياس مجتهد فيه في ثبوت حكم الأصل، وكونه معللا وصلاحية الوصف للتعليل ونفي المعارض في الأصل، وفي وجوده في الفروع و نفي المعارض فيه, فإحتمال الخطأ في الخبر أقل. قالوا: معارض باحتمال كذب الراوي وفسقه وكفره وخطأه وإحتمال الإجمال في دلالة والتجوز والاضمار والنسخ مما لا يحتمله القياس, قلنا بعيد وهو متطرق الى الاصل الثابت بخبر الواحد وهو من صور النزاع وما يتطرق في الدلالة فمثله في ظاهر الكتاب والسنة المتواترة وهما مقدمان. قالوا: ظنه في القياس من قبل نفسه وفي الخبر من غيره وهو بنفسه أوفق. قلنا: الا أن تطرق الخطأ اليه اقرب من الخبر على أن الخبر مستند الى كلام المعصوم و غير مفتقر الى شيئ من القياس و يصير ضروريا بانضمام أخبار اليه, وعدم التيقن في القياس بانضمام قياساتز هذا وإن كان أعم خصه القياس أو اخص فعلى القول بتخصيص العلة يعمل بالخبر فيما دل عليه وبالقياس فيما عداه. وعلى القول بالبطلان فهما متعارضان. [Compared to qiyās] the report (khabar/hadith) is stronger in probability because it is analyzed on two accounts: reliability of reporters (‘adālah) and semantics (dalālah); whereas qiyās is analyzed on: a) the validity of the original ruling (which is the object of qiyās) b) the presence of a specific ratio legis (‘illah) behind the ruling, and characteristics that are suitable for demonstrating that cause, c) the absence of a conflicting notion (mu’āriḍ) in the original ruling, d) the presence of the same underlying cause in the derived ruling (furū’), and e) the absence of conflicting notion in the derived ruling. Therefore, the possibility of error in the report is less. They say the conflicting notion for the report is in the possibility of the narrator lying or having committed disobedience (fisq), disbelief (kufr) or an error (khatā‘), and the possibility of ambiguity in its semantics, or use of metaphor or ambiguous pronouns, or abrogation – things which are not possible in the case of qiyās. We say: This is far-fetched when what is being dealt with is singular narrations that have a solid foundation (i.e. isnād-wise) and the debate is centered around such narrations (only). As for the issues mentioned around semantics, then the same [kind of conflicting notions] also exist for the Quran and the mutawātir narrations, and they unanimously take precedence over qiyās. They say: A mujtahid’s perception of probability in qiyās is based on his own assessment, whereas in the case of a report it is based on someone else’s; and a person is more certain of his own assessment than he is of others’. We say: Except where the possibility of falling into error is greater for him (in following his own opinion) than it is in the case of report since it relies on the statement of the one free from error – the Prophet – and is not dependent on any type of self-reasoning. The report, when linked with reliable transmission, necessitates acceptance; whereas qiyās, when linked with other qiyās (in the same issue but from a different angle), leads to uncertainty. And in case the report is generic and the qiyās specific or vice versa, then according to the opinion of specifying the underlying cause, the report will be applicable in its specified domain and the qiyās will be applicable in the rest. According to the other opinion, qiyās will be inapplicable in either (domains) because of contradicting the report (and there being no possibility of reconciliation). The narrator of the isolated report (khabr al-wāḥid) is not a jurist (faqīh). If he is a jurist qiyās does not take precedence over hadith. The report goes against all qiyās to a purpose. If it contradicts one of the multiple qiyās based conclusions, it is not preferred against. Among the scholars who did prefer qiyās over report, albeit with the above conditions, are ‘Isa bin Aban, al-Jassas, Abu al-Hasan al-Bazdawi, al-Dabusi, al-Sarakhsi and al-Shashi. It is, therefore, clear that some Hanafis did follow this opinion. However, this is not the opinion of Abu Hanifa, the Imam, and his immediate and most prominent students. Vast majority of the most well-read and critical of the later classical Hanafi scholars have also not taken this view. Abu Hanifa, his immediate and prominent students, and the vast majority of Hanafi scholars to this day unconditionally prefer even solitary (āḥād) hadith over qiyās. 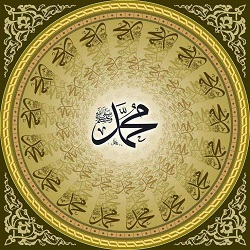 In fact some of the unique opinions of the Hanafi jurists are based on such preference of hadith over qiyās. True that there were some Hanafis who preferred qiyās over such hadiths, besides being a minority, did it only conditionally. Like all the other major authorities in fiqh Abu Hanifa and the vast majority of the scholars who followed his school unconditionally preferred hadith over qiyās. Modernists who suggest that Abu Hanifa make a grave accusation against him for which they have no proof. It is not strictly a translation. Some discussions including the acceptance of Abu Huraira’s reports have been left out and shall be presented in the form of an independent article. Unless a note or citation is followed by “(Tr. 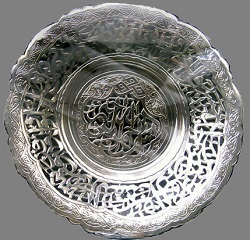 )” it is same as given by the Al-Turkamani. It is important to note that whereas most hadith scholars divide hadith reports into two categories; mutawatir and āḥād the Hanafi scholars put them into three categories namely; mutawatir, mashhur, and āḥād. Āḥād in Hanafi fiqh jargon refers to a category narrower than that in the terminology of most hadith scholars.